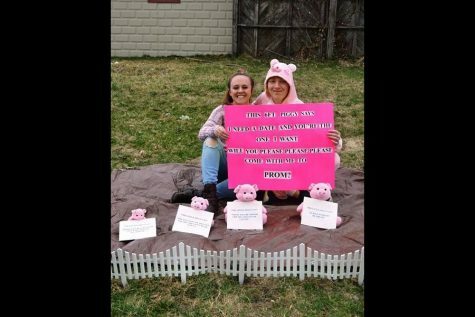 Haile Walk and Gracie Ball with their promposal bow. 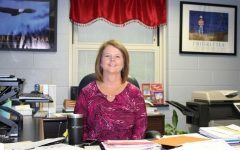 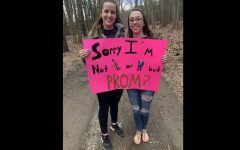 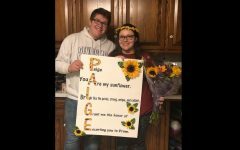 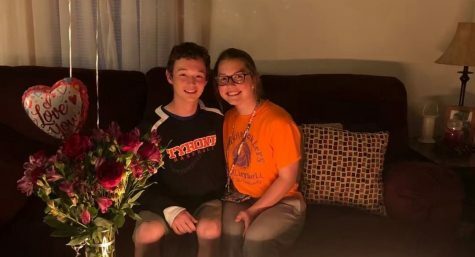 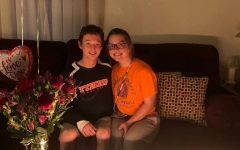 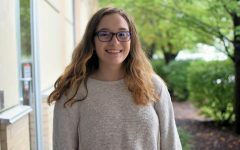 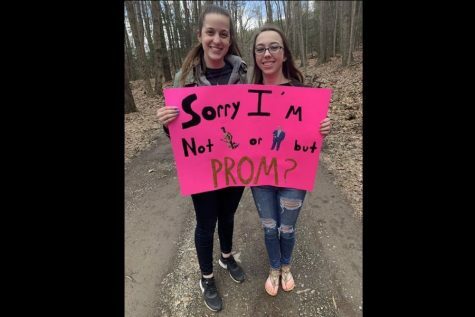 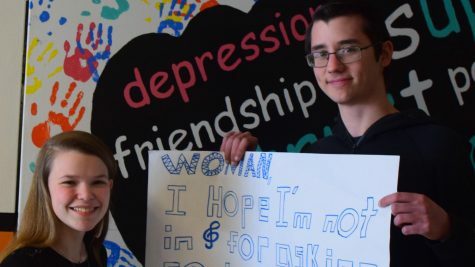 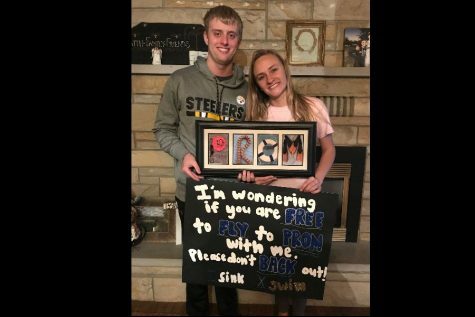 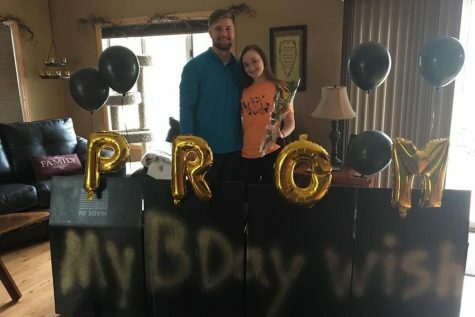 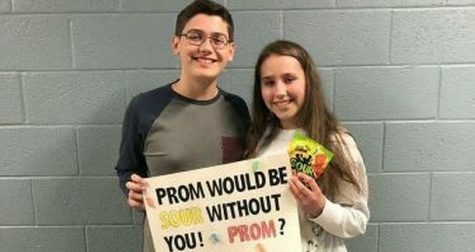 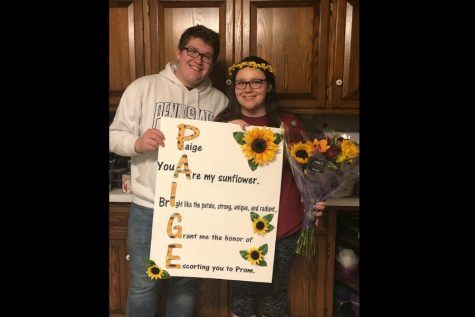 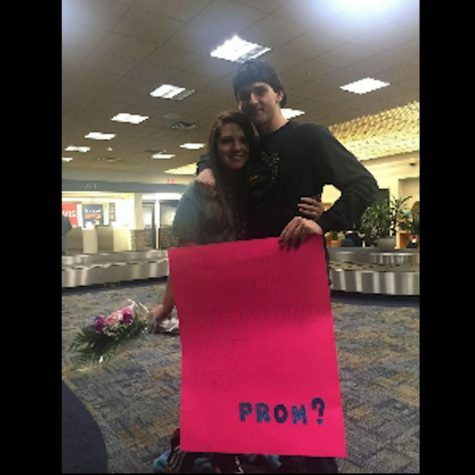 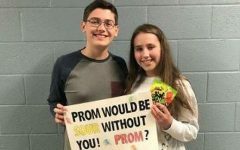 Junior Haile Walk knew she would rather go to prom with a friend than with a guy, and she knew she wanted to ask her best friend freshman Gracie Ball. 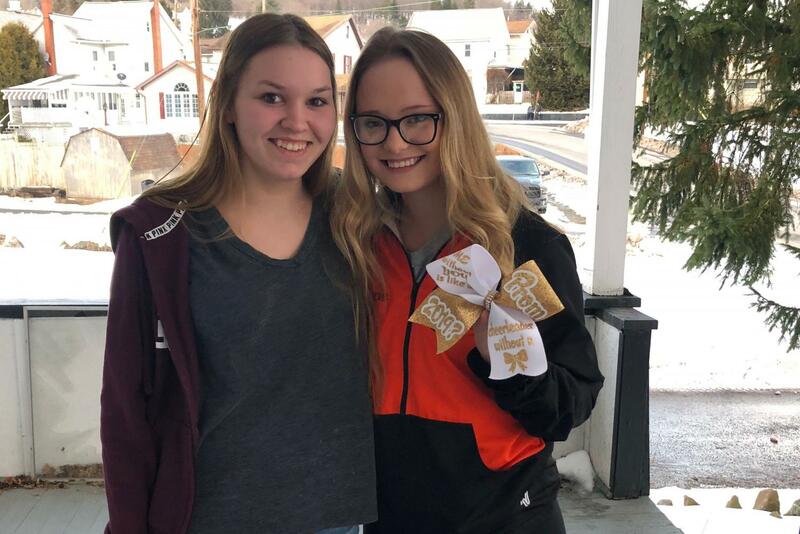 By using their love for cheer, Haile had a bow made that said “Me without you is like a cheerleader without a bow. 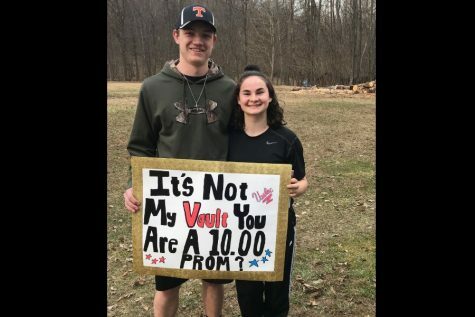 PROM 2019?” Gracie and Haile both joked about going to prom with each other and Gracie was happy when Haile asked because she wanted to go to prom this year.